DON’T MISS THIS ANNUAL HOLIDAY FUNDRAISER! Every tree you purchase ($35) benefits IABC athletics. 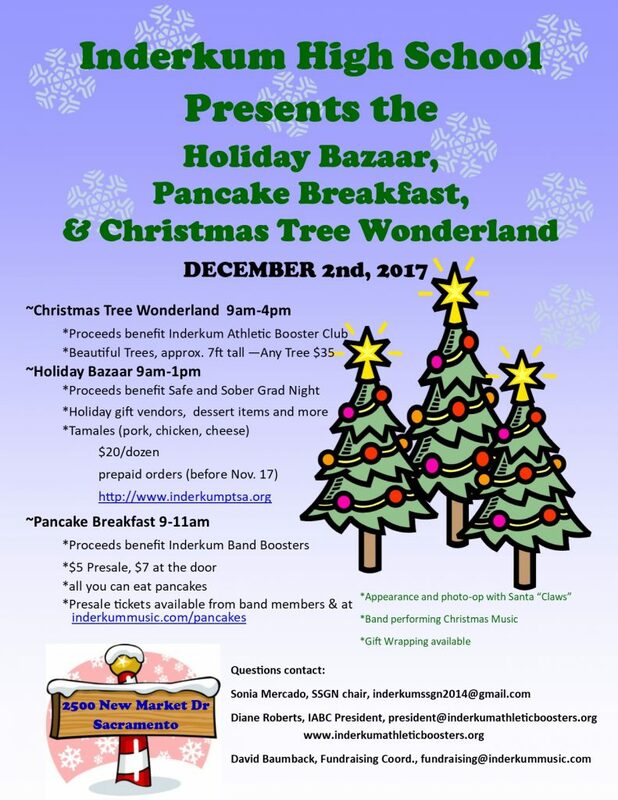 The Holiday Gift Bazaar and Tamale sales benefit Inderkum Safe and Sober Night.